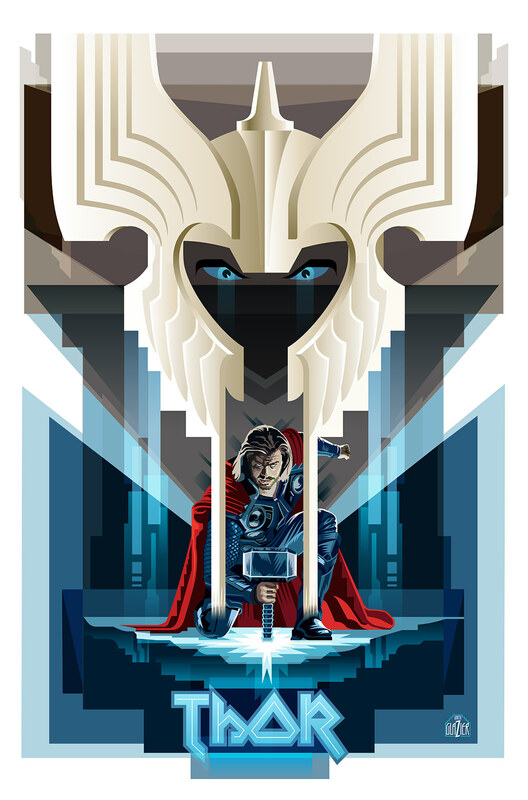 These illustrations are a series of concept art poster images featuring action films. Last year, while searching for a new approach to telling the story of a film in poster form, I created a hybrid graphic style based on my own earlier work some new influences from a few of the talented contemporary artists producing vintage style movie poster art today. 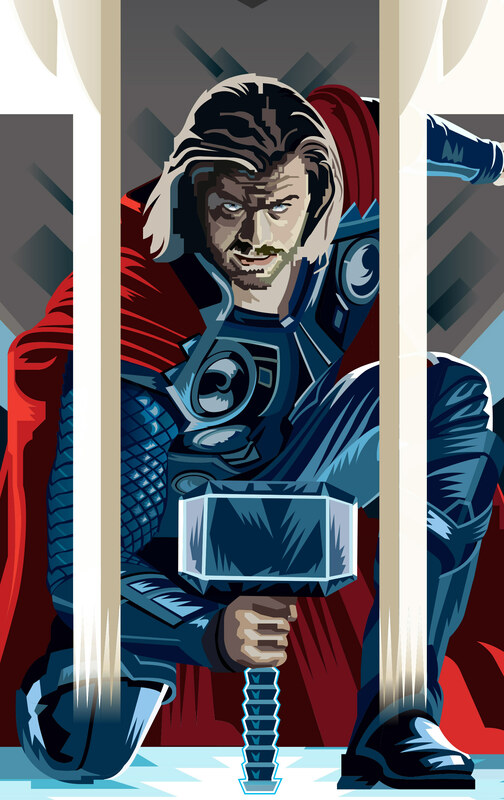 The result has been a series of 4 illustrations including this sepia tone image and the Marvel series below for the Avengers including Ironman and Hawkeye. 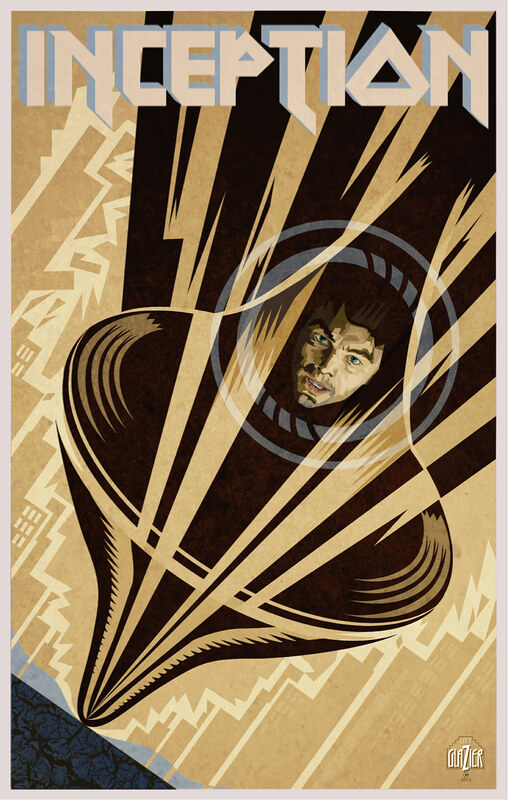 I created this concept poster for the film "Inception" as a guide for my fall 2013 Concept Illustration course. This design was meant to demonstrate the use of an object from the story as a major design element. The spinning top is a great image to develop as a graphic symbol because of its distinctive shape and the multiple possible meanings. 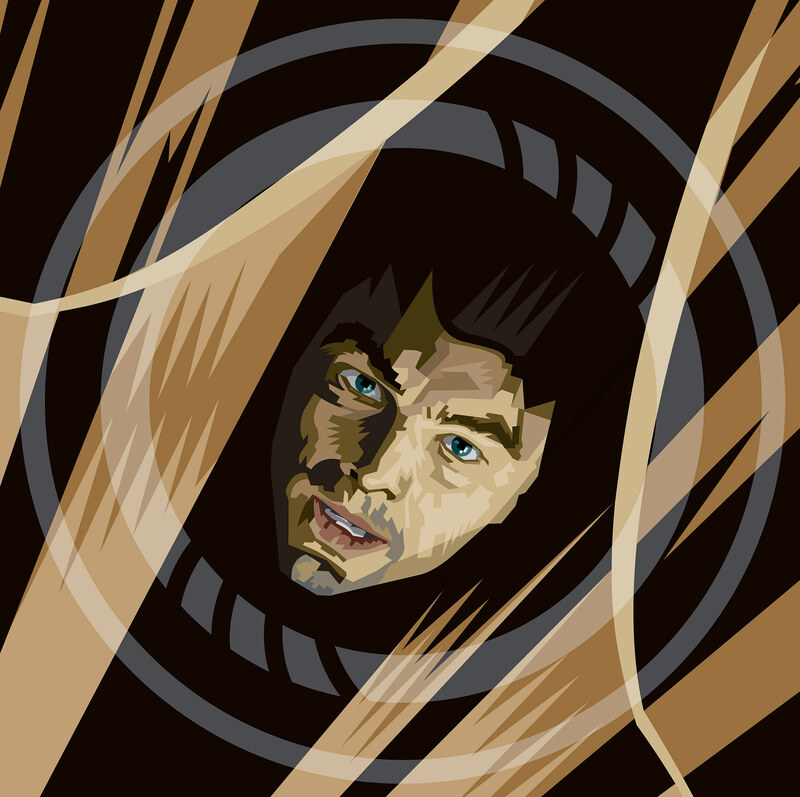 Leonardo DiCaprio is the figure featured inside the spinning top. The background depicts the crumbling cityscape of his imagined world. This was a new assignment to start off the class and was very well received by the students who developed their own posters based on films tat featured an object as a central symbol. I am working on a concept series of illustrations based on action movies for a new assignment in my Concept Illustration Course. My goal is to develop iconic poster images that rely on on a symbol from the story or film to fom a visual language of shapes. 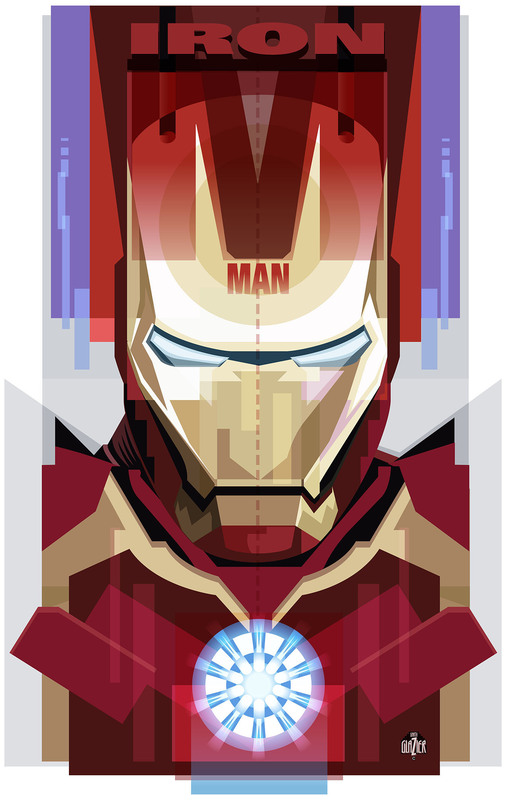 For Iron Man I used the shape of the "M" in his name to highlight the noch in his helmet. From this simple form a series of vertical rectangles were developed to create a compositional environment around his mask. The illustrations were produced as vector art with minimal tone changes and clean edges. 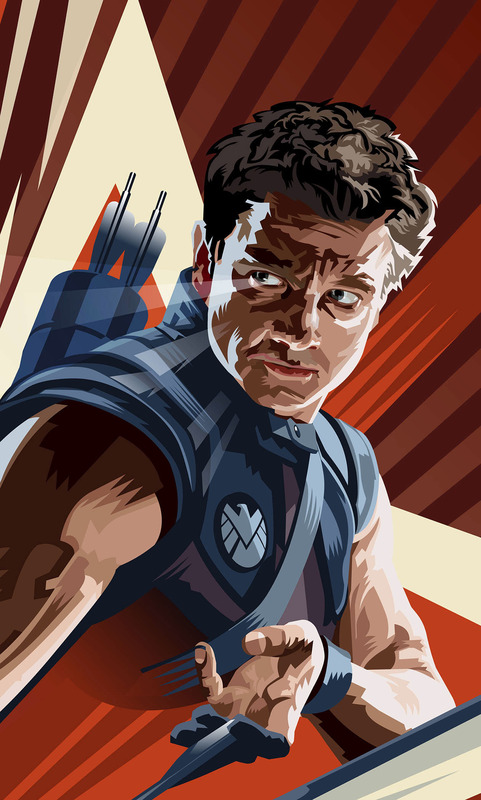 For Hawkeye I used the shape of an arrow to give the design a sense of energy and dynamism. The angle was dictated by the pose, but the graphic shapes were constructed to focus all attention on his eye and arm as the central instruments of his super powers. Letting his body fall away as though it was part of the arrow seemed to express the oneness between man and weapon. 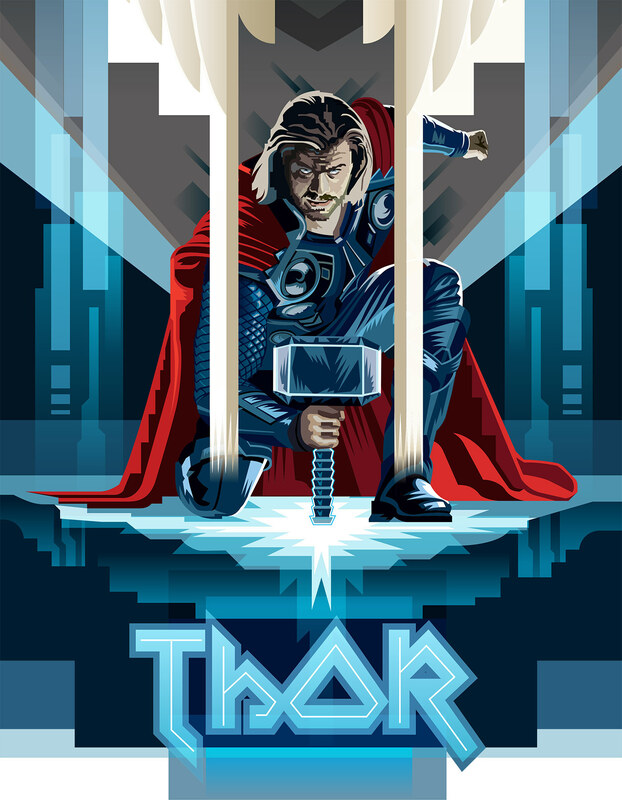 Taking care of some unfinished business from 2013, I completed this concept poster for Thor over the New Years holiday. 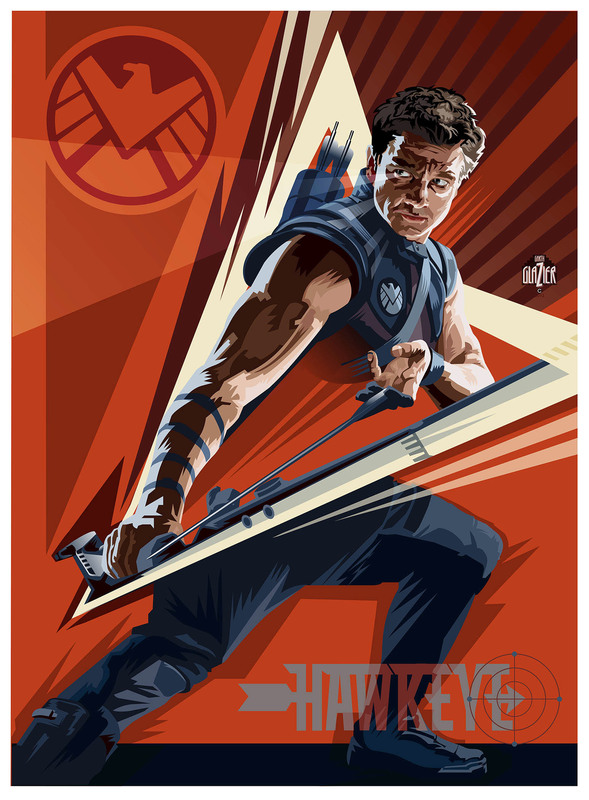 It was the third idea I sketched out last August in a series for the Avengers that started with a geometric Ironman concept and continued with Hawkeye. Its easy to get distracted and not complete a personal project because "actual" work intrudes, but sometimes its important to finish realizing a vision before it fades away and or is forgotten.